Aquarion Water Company, working in cooperation with town and city officials in Greenwich, Stamford, New Canaan, and Darien, is implementing a mandatory ban on the use of outdoor watering devices, including irrigation systems, sprinklers, soaker hoses, and hand-held hoses. This ban is effective immediately. Aquarion Water Company personnel started going door-to-door in Darien beginning this past weekend to encourage compliance. — an announcement from the Darien Police Department, slightly edited, and which adds the second paragraph above and the “Safety reminder” at the bottom to this announcement from Aquarion. Aquarion will be reminding customers about the watering ban with automated phone calls. Outdoor watering activities using a hand-held hose are now included in the mandatory watering ban. Connecticut’s drought level has recently been upgraded to a “severe drought” for most of the state due to an extended dry spell, according to the National Oceanic and Atmospheric Administration (NOAA). With below average rainfall and extremely high water demand, water levels in Aquarion’s reservoirs are continuing to decline. Previously, customers had been asked to voluntarily conserve through notices and automated phone messages, but there has been no decrease in use. Water Company employees will NOT ask to enter your residence. Be aware of individuals posing as legitimate workers who may try to gain access to your residence for the purpose of committing crimes. Authorized water company personnel will be wearing Aquarion uniforms, will have proper, visible Aquarion identification, and will be operating well-marked Aquarion Water Company vehicles. Editor’s note: Darienite.com rearranged the first two paragraphs in the police announcement. As a result of a new request by the Aquarion Water Company, the Connecticut Department of Public Health (DPH) has issued a second water supply emergency order in Darien, Greenwich, New Canaan and Stamford. 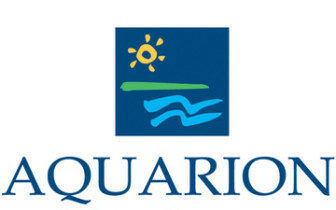 ___________ — an announcement from Aquarion Water Co.
With Connecticut’s drought only increasing in severity, Aquarion Water Company is urging customers throughout the southwestern part of the state to cut back on indoor water use by 20 percent. From Bridgeport to Greenwich, Aquarion’s reservoirs are between 15 and 60 percent of capacity.